Two of the greatest discoveries in the past few years have been grape polyphenols and apple polyphenols. Studies have shown for these two antioxidants to have fat loss, anti-aging properties and tremendous hair regrowth. The hair regrowth was actually a good side-effect. They didn't know about it at first until patients were reporting these results. The studies that were performed showed that grape polyphenols out performed minoxidil by 200% in effectiveness and apple polyphenols (procyanidin b-2) out performed minoxidil by 300%. The results were astonishing. To see such great results for hair regrowth from a natural substance was fantastic. Polyphenols work by affecting the hair growth cycle and increasing it. The specific polyphenols in the apples are procyanidin B-2, C-1 and B-3. 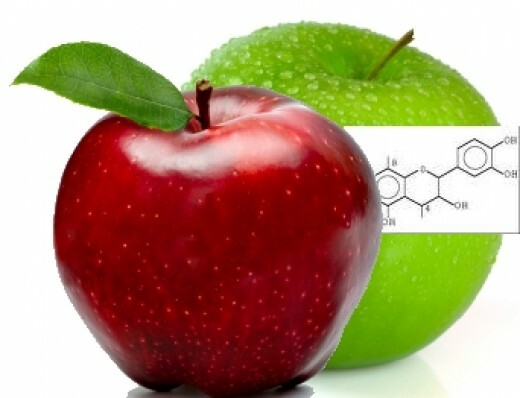 The amounts found in apple polyphenol supplements are high. What's even better, is that the affects on the body, including hair regrowth are completely dose dependent. So the higher the concentration the more effective it will be. It has been shown that we can get about 200mg of polyphenols from a good sized apple. However, the recommended dosage for very effective results is about 500-1000 mg daily. There are very few companies that provide an effective high dosage product. What is great about polyphenols is that, since they are a natural substance, their safe and they can be combined with other methods and supplements for even better results. So if we were to take polyphenols as a supplement, it is highly recommended that we also use a topical treatment (preferably a natural one). In this way we are promoting growing environments internally and and "fertilizing" the outside. This would be a prime condition for healthy and quick hair growth. Other vitamins that can be taken with polyphenols to nurture the hair are B- vitamins, vitamin- E, biotin and kelp.